If I wanted to, I could probably fill this column with Star Wars news and rumors every week and never run out. You’re lucky I don’t, because I’m very tempted. I’ve got a lot of great puns and Yoda jokes just ready to go. But I have to tell you this because it’s super exciting: Rian Johnson is going to direct/write Episode VIII and at least write Episode IX! 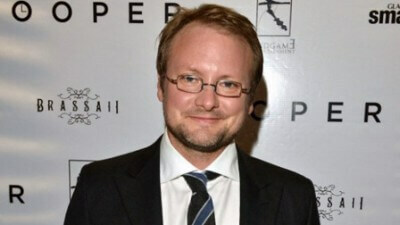 If you’re saying “who is Rian Johnson?” you probably don’t care about Star Wars stuff either, so just move along. He’s the guy who did Looper. He’s not only an exciting choice to direct a Star Wars movie; he’s the perfect choice. Oh…oh no did George Lucas hear that? Good God, Aaron, you don’t have to keep showing off. You can just write a movie that actually sounds exciting on paper. But no, Aaron Sorkin is going to write Flash Boys, based on a book about high-frequency trading on Wall Street. Hooray? Seriously, can we get another Few Good Men or are you going to adapt the phone book next? From the department of “Just Let It Go,” Jerry Bruckheimer is still planning on Pirates of the Caribbean 5: Gimme All Your Booty. They want to shoot in early 2015 for a 2016 release, so we don’t have much time to stop them. Wait! This just in from the department of “Just Let It Go!” Mark Wahlberg is talking about a sequel to the as-of-yet unreleased Entourage movie he produced that I already hate. I was never a fan of the show, but at this point, anything that gives Jeremy Piven more money or attention just has to be a bad idea.